How to Combat Long Seasons of Wait. ⚓️Learning how to wait is crucial for spiritual growth. But as Christians we feel we can’t admit that we fall short. ⚓️Owning your struggle and seeking Him for help is the only way to remain anchored in truth and hope. 📚In the Dark shows you how to wait and intentionally fix your mind on Him alone. You can order you copy of In the Dark here to get the full experience and see what others are talking about. Hi there! Welcome back to my blog. Today I have the pleasure of introducing you to an author that I absolutely admire. If you haven’t read one of her books, do yourself a favor and get them. I loved Coming Home and The Someday List 🙂 She has a new venture Life Untapped. The stories on there are so relatable. I’m going to step aside and let her tell us more. Unoma: Who is Stacy Hawkins Adams? Stacy: I would describe myself as optimistic, loyal and somewhat shy. But behind what appears to be my reserved demeanor is a fun-loving, big-hearted person who wants to enjoy life to the fullest and wishes the same for others. I am a natural encourager; so seeing others thrive makes my heart smile. I’m also a deeply devoted mom, a lover of all things chocolate and a big fan of naps. Most importantly, I am God’s grateful daughter. Unoma: In 10 words or less can you create a quote that describes you and your purpose journey? Stacy: I write and speak to encourage, uplift and inspire others. Unoma: What is the driving force in your life? 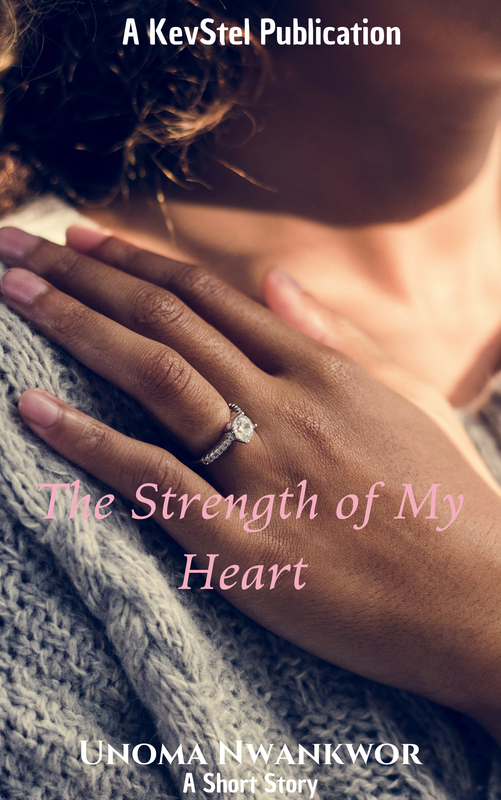 Stacy: My relationship with God and honoring Him in all I do is my driving force, whether that be through my writing, my role as a devoted mother to my two children, or in my role as a sister, friend, colleague and community member. Unoma: How do you balance family, faith and your passion/business? Stacy: Ecclesiastes 3:11 is one of my life scriptures, and I’ve embraced the fact that life happens in seasons, and so can our purpose and passion. I do a lot of things (write fiction, write nonfiction, work a full-time job beyond writing, parent, volunteer, etc.) but I don’t always do them all at once! In some seasons I read more than I write (intentionally); in some seasons my role as a parent means other activities and goals must be sidelined; in some season they’re clicking all at once. As life ebbs and flows, so do my patterns of busyness and need, and I try to go with the flow and trust God’s timing for making it all come together as it should. Unoma: What was the single most devastating experience/challenge in your life and how did you overcome it? Unoma: How do you build confident expectations in your dark moments? Stacy: I am an optimist by nature, so I always try to find a “silver lining” in whatever dark moments I encounter. I also deeply trust in Romans 8:28 and believe that every thing will eventually work out for my good, as long as I’m operating in integrity and excellence. Unoma : How does your understanding of the future give you hope for the present? Stacy: I know that I can’t control the future; all I can do is give my best and be my best today. If I focus on doing that well, it’s just like climbing a set of stairs: you can only take one at a time, but if you keep moving forward, eventually you’ll reach your desired destination. Jeremiah 29:11 reminds of this: God has a future for us that is amazing and purpose-filled; we just have to do our part to get there. Unoma : What does it look like practically for you to “turn to the cross” in your business/ministry. Stacy: For me that is something I do daily, whether dealing with my routine tasks or facing an extraordinary opportunity. It means revisiting particular scriptures that are my anchor; making sure I maintain a weekly prayer call with my prayer partner in addition to my constant conversations with God, and seeking wise counsel from fellow believers who I know have my best interest at heart. Unoma: What advice would you give your younger self? Stacy: I would tell my younger self it’s okay to not always get it right. Sometimes the failures or missteps we experience are necessary to learn important life lessons, to become empathetic toward others or to grow in some way that will eventually help us live out our life’s purpose. I know for sure that the challenges and losses I’ve faced have not only made me stronger, but also have helped me empathize with others more deeply, and grant them the benefit of the doubt more than I might have otherwise. Unoma: What can we look forward to from you this year? OR What are you working on? Stacy: While I love writing fiction, I will spend most of 2017 focused on my nonfiction writing, which is also a passion. I recently launched a new blog (www.LifeUntapped.com) and I’ll be marketing and growing this platform this year, along with blogging more regularly for The Huffington Post and sharing my writing in essays and articles. I also am toying with the idea of writing a short story or two, so stay tuned! Stacy Hawkins Adams is an author, journalist and writing mentor whose fiction and nonfiction help readers find confidence in their own stories. She has penned nine faith-based novels and one devotional book. Her recent titles include The Someday List, an Essence bestseller; Coming Home, a 2012 Target stores Recommended Read; and Finding Home, a finalist for a 2016 African American Literary Show Award. Stacy also serves as the parenting columnist for a Virginia-based newspaper and blogs occasionally for The Huffington Post. Learn more about Stacy at www.StacyHawkinsAdams.com and visit her blog at www.LifeUntapped.com. Nest week is our finale with Lara Mfon and with that, I’m sad to say that we have come to the end of this series. Please feel free to click on the category and read stories that you have missed. I promise you will be encouraged and empowered. You are never alone in your struggles, the plan is to whatever you do, hold on to His promises and His plan. If you have been folowing me for a while you would be no stranger to Nigeria Lockley or as I like to call her sissy. She is my adopted online sister and business bestie. So you know I couldn’t do a series without having her on here to give you her insight. I could talk about her all day long but let me step aside so you could read for yourself. Unoma : Who is Nigeria Lockley? Nigeria : Nigeria Lockley is a child of the most High God, unapologetically walking in her passion and purpose. In the past whenever I would answer questions like this I would always rattle of a bunch of titles until I realized that being my titles are not where my identity lies. My identity is in my creator. Nigeria: Pressure is preparation for promotion. Unoma : What is the driving force in your life? Nigeria: Christ’s commitment to me is the driving force in my life. I all that I do is to reflect the change He made in my life and the second chance, or rather multiple chances He’s given me. I’m not one of those people who discovered their gift late or accidentally. I’ve known I wanted to write since I was a very young child, but I squandered my gift and spent a number of years just smoking weed, partying, drinking, and not living up to my potential. Unoma : How do you balance family, faith and your passion/business? Nigeria : Faith first, ME (this is capitalized purposely) next, family, and then everything I am passionate about. Many women sacrifice themselves for some greater cause, “motherhood”, “marriage”, or “business”, but I’ve discovered that if I’m not okay nothing else I do is going to be okay. Nigeria: At sixteen I found out that my father had moved from his super. That was probably the most devastating experience I ever had. Before that happened my father had what I would describe as a good relationship, so I thought of the reasons I should forgive him and I forgave him. I learned to be thankful for his absence. I accepted Romans 8:28 as my verse for this situation when I came to Christ–everything that I am is because of my father’s absence not in spite of. And since I’m one of the women you selected to interview for this series that means I didn’t turn out too bad. Nigeria: At this point now I do two things–I recall the dark moments that He has guided me through and when I am still feeling discouraged I turn to my best friend who is centered in Christ and only gives me about a day to mourn whatever I’m in the dark about and then it’s time to move like I know God. Nigeria: I don’t understand the future at all, so it doesn’t inform my present. Rather, my understanding of God and His ironclad promises give the hope to get through present situations that might be distressing. Unoma: What does it look like practically for you to “turn to the cross” in your business/ministry. Nigeria: In my business turning to the cross is me praying before I write a book, fasting before making huge decisions, and just sitting still (I know it’s hard to believe), but after I pray I just sit and listen for a response or I pray for a vision and clarity. NIgeria : Serve God wholeheartedly. My younger self was into so much and constantly backsliding. Ever since I turned myself over fully to God there isn’t a door He hasn’t opened for me. Could you imagine what my would be like had I submitted sooner. Nigeria: This year I’m hoping to release at least two books, Berri & Delilah, and Saving Grace and some ebooks on marketing for authors. Next week, I will have the conclusion to this series with Stacy Hawkins Adams. You do not want to miss it. PS: Don’t forget to order your copy of In the Dark here. PPS: Also every Tuesday there is a new episode of Anchor Talk don’t miss it. Click here to listen. ‭An anchor has one main job and that is to keep the boat steady. Through the storm, the highs and lows, the pain and gain the anchor keeps the boat steady… Grounded. That is what HOPE does for us. Just as the anchor can’t do its job from within the boat, but from the outside, we can’t rely on SELF for hope. Our hope comes from the Lord. 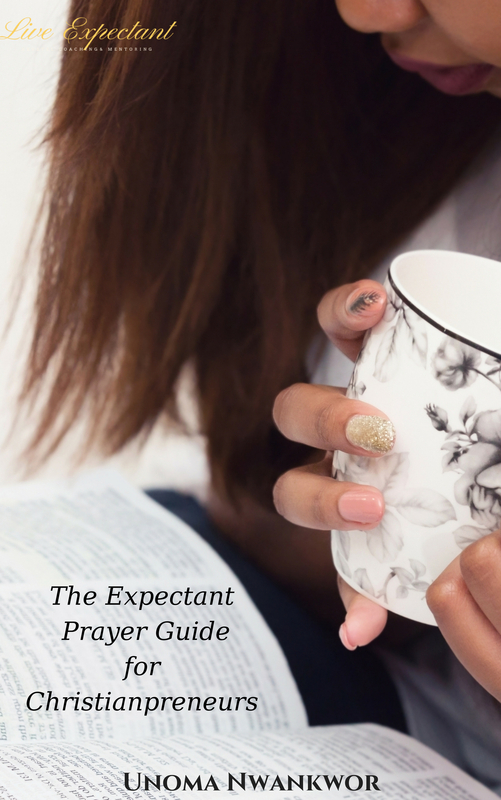 Do you want to know how to navigate the dark while you confidently await your expectation? 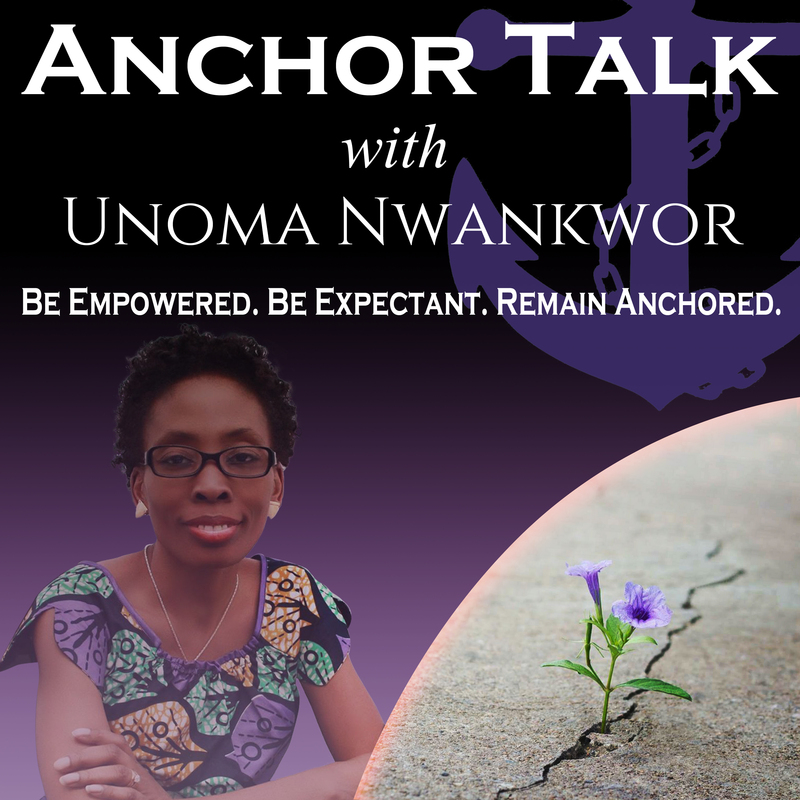 🙋🏾Join me on Anchor Talk as tackle various topics to empower, motivate, inspire and encourage you on. ⚓️For the past few weeks we’ve been talking about fear. Click the bio to listen in.